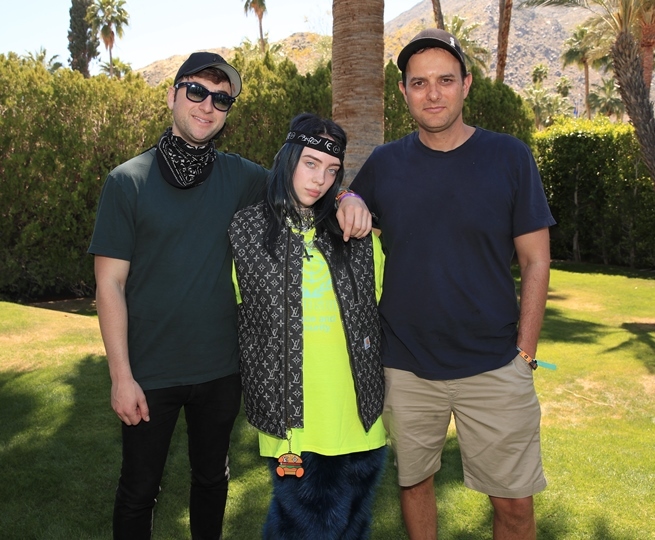 "If you're gonna get on the green from here," comments Darkroom/Interscope phenom Billie Eilish to label chief John Janick, "you're gonna need a knock-down eight." 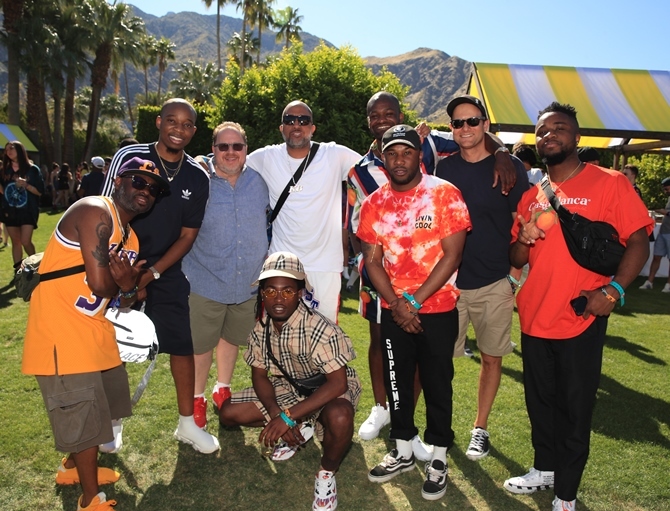 The occasion, of course, was Interscope's Coachella party in Palm Springs, which drew a throng of biz luminaries. For his part, Darkroom founder/head Justin Lubliner was looking forward to hitting the ball through the little windmill. Janick, Vice Chairman Steve Berman and EVP Joie Manda join artist Tierra Wack for a festive visual. Later, a gaggle of tourists turned up after word got out that Joie was smiling. 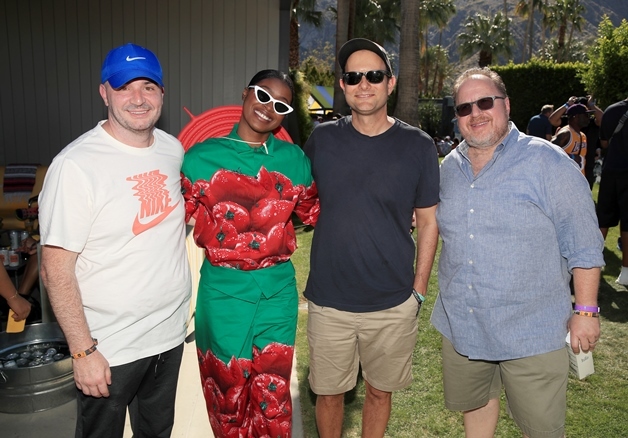 Janick and Berman are joined by Phyve Walker, LVRN's Tunde Balogun and Justice Baiden, TV giant Kenya Barris and LVRN's Sean MicNichol, Carlon Ramong and Junia Abaidoo, all of whom later headed to town and went on a mad shopping spree for modernist furniture. 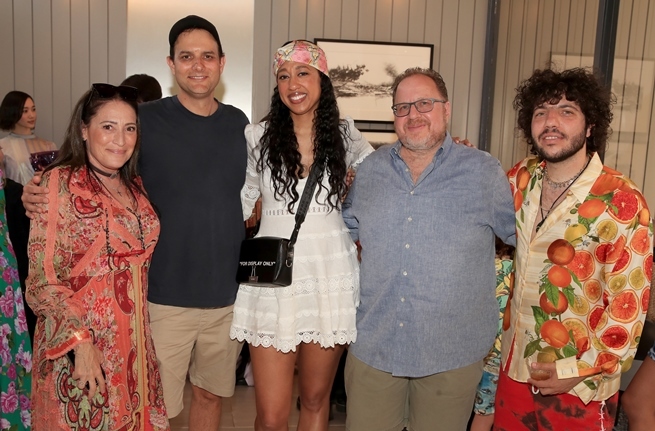 Janick and Berman are joined by Frances Berman, EVP Urban Ops Nicole Wyskoarko and artist/producer/songwriter Benny Blanco, whose shirt was eventually wrung out for cocktail mixers. 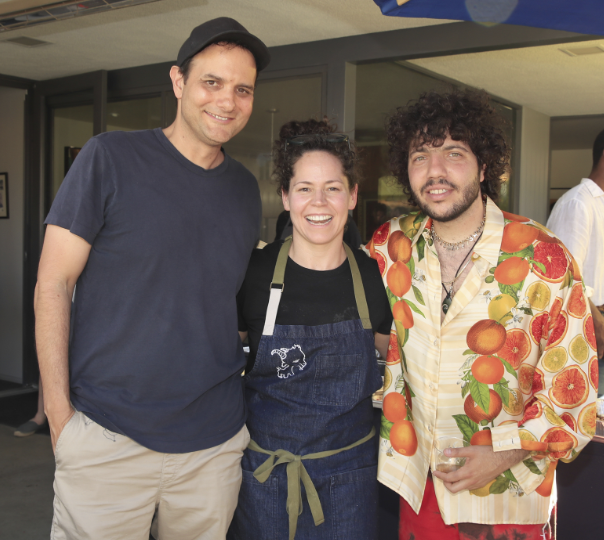 Chef Stefanie Izard of Girl & The Goat, who prepared the feast, pauses from creating cauliflower foam to pose with Janick and Benny Blanco. Later, a sculpture of Berman was created out of leftover kohlrabi salad.